I have to apologize to my three readers. I haven’t blogged in a week. In the last week I”ve also ignored all the taunting weeds in my yard and I’ve skipped two training sessions I”m supposed to be logging for my first 10K. The reason for my absence is simple. I was reading. I had books in a stack looking at me. I’m a compulsive reader. I devour books. Always have. This is especially true when I have a stack of books that I want to read. The stack keeps looking at me and I keep reading. I remember one Christmas when I was about ten that I received maybe eight books from various relatives. I surfaced sometime after the New Year. This last stack started with Bonhoeffer: Pastor, Martyr, Prophet, Spy: A Righteous Gentile Vs. The Third Reich. All 591 pages of this book are as daunting as the title. It was hard to get into and had more detail than I usually like. However, reading it sharpened my focus. Bonhoeffer was the kind of person that stood for the truth regardless of the cost. I want to be that kind of person. It’s a scary thing to want. After Bonhoeffer, I read Jill Williamson’s newest book, From Darkness Won. It’s the final book in The Blood of Kings trilogy. The two other books in the trilogy, By Darkness Hid and To Darkness Fled both won Christy awards. I’m terribly impressed with my friend who is an amazing author. You should read her books. Next in the stack was my bookclub book for the month. I didn’t like it. I’m not going to blog about it. One of the problems when I read is that I tend to tune everything else out. When I was about twelve we went on vacation to the Grand Canyon. My parents were thrilled to hear me oohing and ahhing as we drove around the rim. They were thrilled until they looked in the back seat and saw that I had my nose deep in the travel guide and was exclaiming about the photos while I ignored the real thing. I do have to say in my defence that the photographers were excellent. In the last week I’ve read until almost two in the morning three different times. This really has got to stop. However, I’d like to tell you that I enjoyed The Hunger Games trilogy and whatever random detective novel I’m in the middle of now is enthralling. Obviously it’s going to be memerable since I can’t currently remember the title. Must be lack of sleep. I asked my spouse if he’d be happy to have his wife back when I finished this novel. He rolled his eyes slightly, smiled and said “sure, until the next book shows up”. Does anyone else do this? National Read in the Bathtub Day. My sister called this morning with excellent news. 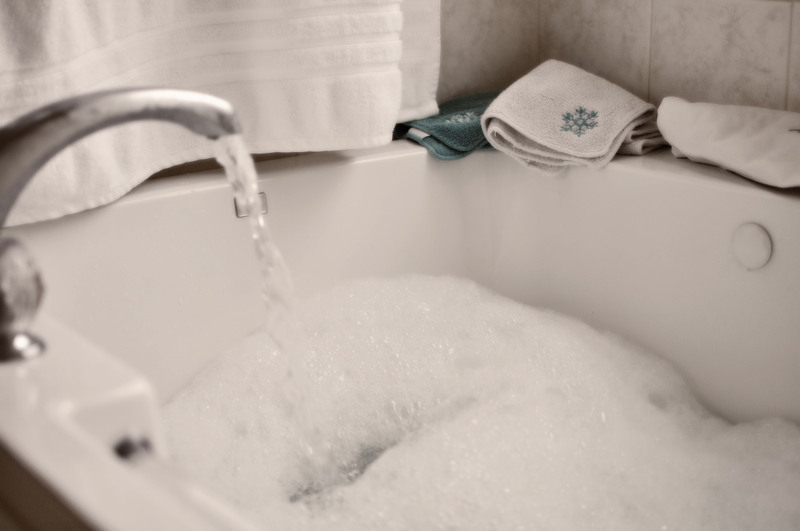 It’s National Read in the Bathtub Day. I don’t know who assigns these random holidays but for once I am determined to help spread the word and encourage everyone to celebrate. If you’ve never been one to read in the bathtub I do have a few hard learned tips. #2. Don’t try reading books you can’t manage with one hand in the bathtub. This rules out War and Peace. #3. Pay your water bill. If you are in the middle of a really good book, you may have to add more hot water about an hour into the read. #4. If you want the full experience, make sure to add some bubbles and take a snack with you. I could live in my tub I think. Are you going to celebrate today?? A little bit of unexpected luxury entered my life last night. My husband and daughter decided they HAD to get a final swim of the season in before the pool closed for its annual drain and clean in January. So they headed off for a night of fun (I hear they watched Elf) and will be back home this afternoon smelling faintly of chlorine. We’ll probably have an awesome dinner, swimming tends to lead to big appetites. This left me at home last night all by myself. I made myself a dinner of leftovers. Rice and Prime Rib if you are curious. The cat and the dog were both jealous. I sat by the fire and looked at our tree that has become a fire hazard and considered my options. Oh what to do with a couple of hours of silence and no to do list? Pure bliss. Go for a run? Work on a quilt? Watch a movie? Sit aimlessly and do absolutely nothing? Tempting. In then end, I went with what I always do. A book in the bath. Every time. My parents got me two boxed sets of books for Christmas. One set was the complete selection of Roald Dahl. I can’t wait to read the BFG to my daughter when she’s ready for a chapter book. I know everyone loves Charlie and the Chocolate Factory but my personal favorite of Roald Dahl’s has to be Danny the Champion of the World. What a fighter that kid. Too fun. 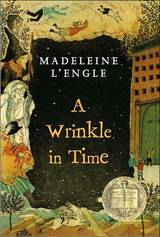 The second set was the Wrinkle in Time set by Madeline L’Engle. I adore everything by Ms. L’Engle. I love that she writes Children’s Literature but she doesn’t think children are idiots. Her books are all smart and funny and heart warming and creative. I sat in the bath last night and read A Wrinkle in Time. The whole thing. I had to add more hot water. It was totally lovely. Here are just a few of my favorite quotations from the book. Like and equal are two entirely different things. One of the best parts of my Christmas present was that I thought there were only three books in the Wrinkle in Time series. Turns out there are five. What better gift can you get than more of what you already love? 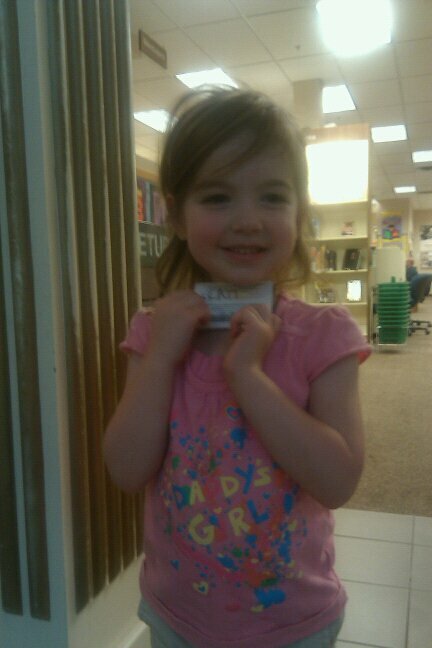 I trust my daughter will love books her whole life. I hope they push her to grow and create and smile. My family will be home tonight. We’ll talk about swimming. We’ll eat dinner. We’ll maybe do a new puzzle or try to beat each other at Connect Four. 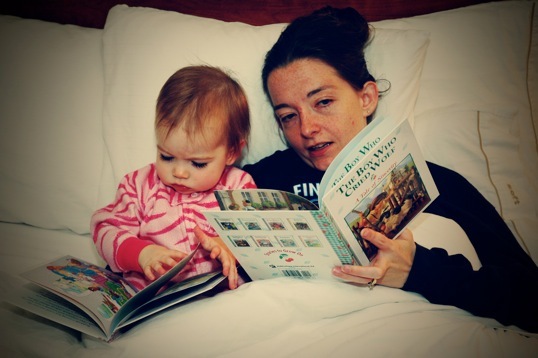 Before bed, we’ll read a book. I love sounds. I love music too but I’m not actually talking about music. I love random sounds. I love the sound gravel makes when you walk on it. I love the sound my dog makes when she jumps on the bed. I love the sound that the river outside makes when it is swollen with spring rain. Its a mix of rushing water and boulders smacking into each other. I love how it sounds when my daughter sneezes. I like the sound of espresso steam. I love tastes: Cinnamon Rolls on Christmas morning. Homemade Spaghetti Sauce. Warm raspberries straight off the bush. Mint and lime. I love books: A Movable Feast by Ernest Hemmingway. Hiding Place by Corrie Ten Boom. The Great Divorce by CS Lewis. I love movies: Sabrina, Joy Luck Club (I liked the book too), While You Were Sleeping (I can quote the whole thing. Pitiful, I know), Ocean’s Eleven, and any movie whatsoever about an underdog who wins. I love rain. I love wood fires. I love hard wood floors. I love huge trees. I love giant cranes. I love my husband. I love my daughter. I love my life. I love books. All kinds. Always have. My favorite book as a child was Andrew Henry’s Meadow. Great pen and ink illustrations. It went out of print years ago and we couldn’t find a copy. The original stays at my parents house but when I was pregnant I wanted my own copy. Powell’s books in Portland had a copy for $150. I love books but I’m not yet that crazy. I was thrilled when the publisher put out a 25th anniversary edition and now we read it at home too. Remember reading out loud in class in elementary school? I hated that. When my turn came I was always embarrassed because instead of reading along with the class I was reading ahead. As a result, I never knew what paragraph I was supposed to read. One time I actually got in trouble and had to stay in at recess because I’d read ahead in the literature book we’d been assigned and gave away the ending. Oops. When I was a teenager, if I ever developed a bad attitude (who me??) my mother would pull out a book from her stack and make me go read. The most effective of these attitude adjustment books is The Hiding Place by Corrie Ten Boom. If you’ve never read it and want to be inspired go find a copy. I have one you can borrow. Books have been involved with most of the important moments in my life. My Rwanda journey was influenced greatly by Kay Warren and her book, Dangerous Surrender. I need to read it again. Like a lot of people in college, I lost my way for a bit. Books helped bring me home. If you are looking for some guidebooks, check out anything by JP Moreland, Lee Strobel or skip on ahead to the master – CS Lewis. When my husband and I met, I knew we had a shot at a long term relationship when I found out he too loved the Narnia series.